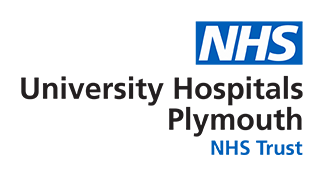 The Plymouth Head and Neck Cancer Unit at Derriford has a small team of specialists dedicated to providing first class care to patients with cancer of the Head and Neck region (Upper Aero digestive Tract - UAT) including mouth, throat, larynx (voice-box), salivary gland and thyroid cancers. Referrals come from East and North Cornwall, Plymouth city and South and West Devon. The clinical team is made up of Head and Neck surgeons, a Consultant Oncologist, a Restorative dentist, Plastic and reconstructive surgeon. There are close links with cardio thoracic surgery and neurosurgery, as well as cancer specialists with a particular expertise in head and neck cancers. The patients are supported by speech, swallowing and language therapists, dietitians and a palliative care team, including a Macmillan Head and Neck Nurse. Our goal is to provide you with expert guidance and support throughout your treatment journey. The team provides a comprehensive service including resection (from endoscopic to major tumour surgery), reconstruction and rehabilitation. Radiotherapy and chemotherapy treatment takes place on site.